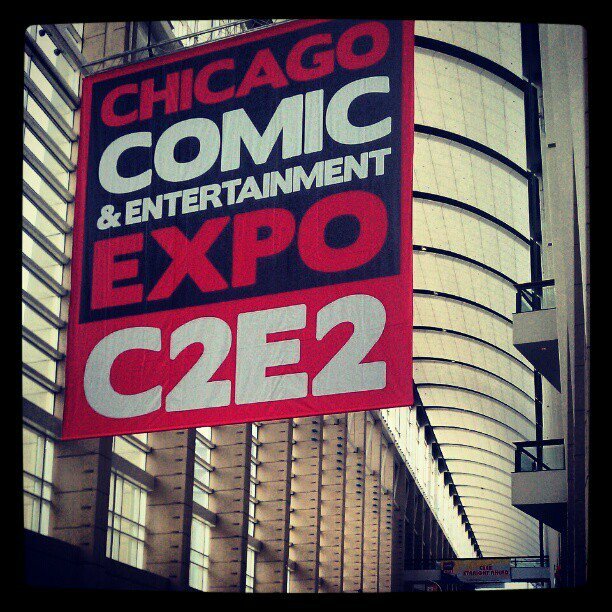 The 2012 annual Chicago Comic & Entertainment Expo is finally here! This is the third year of C2E2 and I'm happy to say that it has definitely established itself as a worthy competition to its convention counterpart, the long running Chicago Wizard World. Since the Wizard Convention has been moving more towards the entertainment and Sci-Fi end of the nerd culture spectrum C2E2 has been a welcome addition in providing more comic-themed content to fill the void. 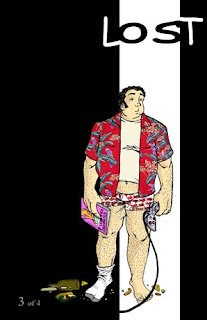 Major comic companies such as DC and Marvel (who have been noticeably absent from the Wizard Con the past few years) are present here at C2E2 as well as various new indies such as Archaia and the newly relaunched indie company legend First Comics. Combined with a plethora of quality panels and a full Artists Alley the rest of C2E2's weekend is looking mighty promising. Highlights from the day include new themed bathrobes now available at the Stylin' Online booth (including a Star Trek uniform design and a hooded Batman design,) The Chris Hardwick/Nerdist Podcast panel, the Tom Morello autograph signings, The Super-hero themed snap-back and fitted caps being offered at the New Era booth and the professionals and aspiring artists in Artist Alley (including actor Shia Lebouf who apparently has a new comic book he's promoting.) There was even a live DJ performing sets throughout the day, although I HIGHLY question his choice of playing "Ice Ice Baby" even considering the company involved. Among the other very few noticeable fails is the rise in parking prices ($21 flat fee for Parking Lot A) but that is more a fault of McCormick Place rather than the organizers of the con. You can visit the C2E2 site for a full lists of the remaining panels and guests but I strongly suggest that you take the time to fully explore the Artist Alley which is full of hidden gems like artists, both aspiring and professional, offering commissioned fan art and sketches. Eric Powell artist writer and creator of The Goon comic was even nice enough to offer a few free quick sketches to those receiving free autographs, and his brand new amazing sketchbook was only being sold for a mere $10! While you're there you'll also want to check out many of the indie comics being promoted such as the hilarious "comedy of words and pictures" Lost the Comic Book, written by Derek Glascock & drawn by Jay Osterkamp of NightOwls Media (Artist Alley Booth M17.) If paintings are more your style you can check out pop culture mash-up painter Steve Seeley, who takes time off from his European art tours and Rotofugi shows to share a booth with cover artist Jenny Frison at booth C12. 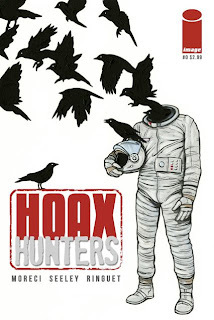 The booth will also be shared by Steve's frequent collaborator writer Michael Moreci who will be promoting their new book Hoax Hunters, which is about a reality tv show that tries to convince the world that YouTube sensations & "tabloid creatures" such as Yeti and Chupacabra aren't real (even though they are.) There's also the famed artist team "Greg & Fake" who create 80s & 90s cartoons-influenced, Underground comix style cardboard paintings which are so affordable you'll have to see the prices to believe them! They really should be charging more for their paintings, so head over to booth N18 before they smarten up and raise their prices.